Each record will contain all parsed fields of the domain's WHOIS information. For reference, you may download a sample of our Complete Whois Database. Purchase of complete whois database enables you to receive all future updates to this database. You will receive one free complimentary update, which can be requested after 30 days of your order. After that, you may request unlimited future updates to the complete database for a fee of $250 per update. Please contact us for more information. For testing purpose, you may download any of the following databases for FREE. Please login to your account to download the remaining 12 free whois databases. This is necessary to stop automated bots and web harvesters from misusing our system. Need a custom whois database? If you are looking for a customized whois database, please let us know and we will arrange it for you. 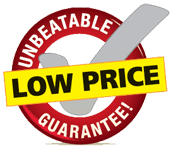 Price of custom database starts at $500, and will be higher depending on the database size. Files will be delivered within 3 business days. 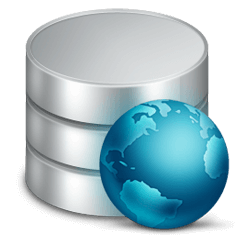 A sample database can be provided upon request. For more than 200 Million domain names, it will be more economical to purchase our Complete Whois Database (310 Million domains) priced at $6495. How are the whois databases priced? Unlike other companies, we price all our WHOIS databases based on the total number of unique domain names whose WHOIS data will be present in the particular database. We also provide historical WHOIS data of domain names (where available) at no extra costs. So there can be similar WHOIS data for domain names that do not update their WHOIS information over time. For this reason, we price all our whois databases based on total unique domain names present in it. Your purchased database might contain some similar WHOIS records, but the total number of unique domains will never be less that what is mentioned. How is the Complete Whois Database collected? Each time a domain name's WHOIS information is fetched through our Whois Lookup API, it's record is stored into our complete whois database. Domain names that are not registered or records containing empty whois information are discarded and never enters our complete database. We only store records which contain valid whois data of the domain name. Does your Complete Whois Database contain all domain names ever registered? No! Our complete whois database contains only those domain names that we have monitored till now. It does NOT contain whois record of each and every domain name that has been registered on the Internet. According to the Verisign Domain Name Industry Brief, approximately 330 million domain name have been registered across the world by the first quarter of 2017. Till now we have monitored about 310 Million domain names, and these domains will be available in the complete whois database. How oldest will the historical whois information be? We started recording WHOIS records since November 2012. So the earliest whois data of a domain name in our database will be from November 2012. For reference, you may check all the historical whois records of yahoo.com domain name. Are historical whois information available for all the domain names? Whois history is currently available only for about 75% of the domain names in our complete whois database. How long does delivery of Complete Whois Database take? Delivery of complete database takes about 3 business days, as it is processed manually. Once all the files are ready, you will receive the database download links by email.